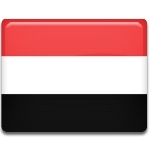 The present-day Yemen consists of two territories, known as South Yemen and North Yemen. They were unified on May 22, 1990, but before that these were two separate states. South Yemen became the British colony in 1863, after the crown occupied the territory of the city of Aden. The process of decolonization of South Yemen began in 1963, when Aden and much of its Protectorate were joined to form the Federation of South Arabia. The states, that declined to join formed the separate Protectorate of South Arabia. Both the territories were bound to Great Britain, because they were promised independence in 1968. Two political groups, the Front for the Liberation of Occupied South Yemen and the National Liberation Front (NFL) started struggle for independence. NFL was invited to Geneva to talks to sign independence agreement with Great Britain. This event took place on November 30, 1967 and newly independent South Yemen became known as the People's Republic of South Yemen.